Simple, locking mailbox is made from powder coated steel. 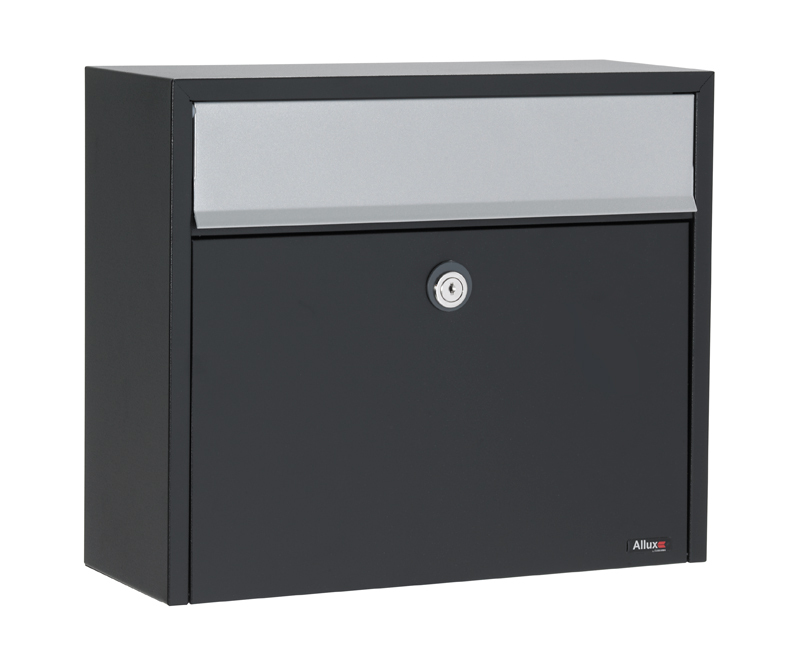 Available in black with gray accent door, galvanized steel or white. Slot Size: 13-5/8" x 1-1/2"
Mailbox Size: 15-3/8" x 13" x 5-7/8"